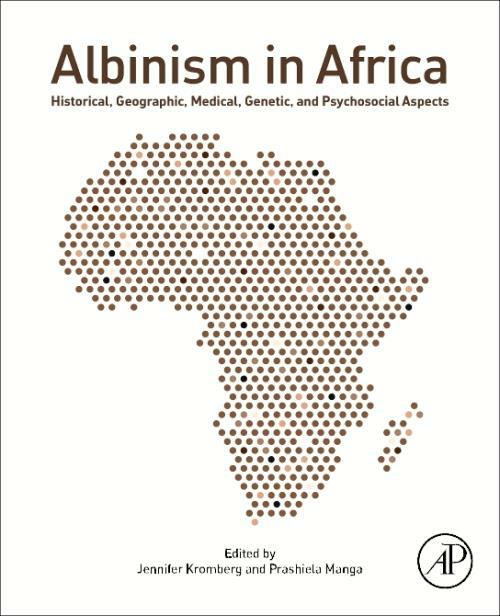 Albinism in Africa: Historical, Geographic, Medical, Genetic, and Psychosocial Aspects provides the first in-depth reference for understanding and treating patients of human albinism in Africa. Leading international contributors examine the historical, geographic, psychosocial, genetic and molecular considerations of importance in effectively and sensitively managing this genetic disorder. Foundational chapters covering the historical and psychosocial aspects of albinism are supplemented by discussions of the pathobiology of the disease, as well as a thorough analysis of the genetics of skin pigmentation, eye pigmentation, hair pigmentation, and incidents of skin cancer involved in the manifestations of this disorder. New prenatal diagnostics and genetic testing methods, genetic risk assessment for individuals, families, and communities, and novel genetic markers that may be used for developing new therapeutics for treating albinism are also discussed in detail. The book provides care management approaches that may be applied to instances of albinism in other regions, along with guiding principles for treating rare genetic disorders and stigmatized patient populations across the globe. Dr. Kromberg has had 40 years' experience working with albinism patients in Southern Africa, has written a MA dissertation and a PhD thesis on the topic, and has published more than 60 peer reviewed papers on albinism, genetic counseling in sub-Saharan Africa, and related topics within human genetics and genomic medicine implementation. To-date, her primary areas of research have included hereditary cancers, genetic counseling practice and implementation, Fanconi anemia in South African populations, predictive genetic testing in children, intellectual disability in rural South Africa, genetic testing for Huntington's Disease, and the genetics of oculocutaneous albinism. Dr. Manga is a molecular biologist, who completed her PhD research in South Africa and wrote her PhD thesis on the molecular aspects of the rarer types of albinism found in Southern Africa. She has 24 years of experience researching the biology of skin pigmentation and has published more than 36 peer reviewed papers on genetics, albinism, and other pigmentary conditions. Her areas of primary expertise include the biology of skin, hair and eye pigmentation, genetics of oculocutaneous albinism, the etiology of vitiligo, genotype based association models of complex diseases, gene mutation and melanoma risk assessment.